This is the difference between gold and dollars. One is limited and the other is unlimited. Gold and equity are limited. Dollars and credit are unlimited. The two cannot be mixed without a negative outcome for society. Imagine two neighbors. Both are unemployed, yet neither are worried about it at the moment. One neighbor has a stash of gold coins. The other has a FICO score of 800. One has equity, the other has credit. For the time being they can each live on what they have. Eventually both will have to get a job, but hopefully you can see the difference. In my post, The End of a Currency, I wrote about a perfect gold standard in which there was no monetary inflation and no monetary interest on loans. Someone asked, "why would anyone make a loan in this perfect system?" The simple answer is that they would not. The more complicated answer is that savers would not loan their gold in the way we think of loans today, with only a piece of paper obliging the borrower to return the gold plus some interest. And certainly not with a mere piece of paper requiring the return of only the principle. Even if it would be worth more when it was returned, the same positive result could be had by burying one's gold, eliminating risk. No, the way that gold would "go to work" in this perfect gold standard is only through equity investment. One man might provide the gold while another would provide the labor and knowledge and together they would share in the profit or loss of the joint venture. Which came first? The greed of the banksters to make usurious loans to the people? Or the demand of the people to borrow frivolous capital for whatever economic activity they chose without sharing profits? Adam Smith (1723-1790) taught us that economies emerge as bottom-up spontaneous self-organized order that naturally arises from social interactions, not from top-down bureaucratic design. This is also true of banks. And with the recent bailout of the banks, it is repelling to think that we are responsible. It is true. We are all, as a society, responsible for the actions taken. It was a foregone conclusion a long time ago. That if losses ever loomed large enough to bring down the system, society at large would end up covering the losses. This is the very nature of the system we have built as a society. A system that sprung up from man's desire to borrow, not from man's desire to lend or steal. That came later. I do not make these statements in support of the bankers or the bailouts. I find them just as revolting as the next guy. But as a pragmatist, I am looking for a realistic explanation of what is happening. As a credit-based system emerges along side an equity-based monetary system, all kinds of problems arise for society, not the least of which is inflation. The interest portion of all loans requires growth in the money supply over time. And on a large economic scale, this growth can be quite substantial. As the lenders' credit-paper notes are "seasoned" over time they begin to circulate as near-money at a discount to the original equity they represented. And as the "money supply" grows, so does the disparity of value between credit and equity. At first, governments always keep the two tied at par through legal tender laws, but this only drives real equity into hiding and credit must expand even faster to cover the loss of equity from the monetary system. But sooner or later the credit portion must be devalued against the equity portion and ultimately, the link between the two is severed. Society as a whole decides what society's official money is. And once the link between credit and equity is stretched to the breaking point, credit alone is declared to be official money. Thus begins the ultimate unrestrained inflation. Money, whatever it is declared to be, is constantly at risk from the body politic. The infantile will of the collective is the risk faced by all monetary systems. If gold is a part of that system, then it is the people's gold, their savings, that is at risk from the collective's grabbing hands. The collective is most often described as the government, but governments cannot take bold actions without at least the implicit support of the majority. In our current crisis, it is the dollar that is at risk. The collective has given implicit support to unlimited government printing in hopes that it will slow the fall from the collapse of credit derivatives. We now also have the central bank of central banks suggesting printing support to guarantee the sum total of bank credit derivatives numbering five to ten times larger than the entire value of all equity on the planet earth. Sept. 14 (Bloomberg) -- Central banks must coordinate global supervision of derivatives clearinghouses and consider offering them access to emergency funds to limit systemic risk, according to the Bank for International Settlements. It is the political will of the collective, now facing momentous losses, that is the biggest threat to the dollar. This will is already set in stone. And we have yet to see the full impact of this will as pension funds fail and state and local governments face inevitable insolvency. The dollar's collapse through the loss of its reserve status has already begun. But it is the political risk, this political will inside the US that ensures that this collapse will be a hyperinflation the likes of which the world has never seen. Never before has a global reserve currency imploded. The stage is now set, the audience seated, the lights dimmed, and a low, rumbling, tympanic drum roll can be heard rising from under the stage. Over the past 65 years, the US dollar has been parlayed into a cost advantage for the United States greater than any other currency scheme throughout all of history. The reason this advantage has been so great was that the true inflation cost of the currency was concealed from the pricing markets. In the fiat-gold systems of the past, steep price inflations always signaled that the official money was about to be destroyed and redenominated. This fear carried forward into our present purely symbolic currency system, but we soon evolved to accept price inflation as the cost of doing business. As long as it was low enough that we could out-gain it through other investments, the benefits that our fiat trading economy provided were readily accepted. Over time we have grown numb to the slow, hidden increases of the inflation tax. In moderation, this tax would have been somewhat acceptable, in an immoral sort of way, as society stole the productivity and efficiency gains (from those that could provide such) to pay for itself. But alas, hidden theft is just too good of a process for our collectivist political system not to expand on. And in the US it is our political system's MO that government does exactly what the majority demands, and then expands the inflation tax to cover it. It has been this way since before we were born! But here's the catch. Since 1971 at least, and probably since 1944, the US dollar has been EXPORTING most of its inflation. And in doing so, it has built up an enormous inflation tax deficit on all dollar based assets. The full amount of this deficit is unknown because it has been masked, hidden, rejigged, absorbed and papered over time and time again. But one thing is for sure. The full price of this tax is way, way above anything we imagine. Most of it hidden over many years in the "dollar reserve function". As a credit-based currency expands, the market acts as the lever that balances equity values against the expanding currency within its legal tender zone. But in the case of the dollar, a constant outflow lasting decades has been absorbed and held in reserve (think reservoir) outside of the dollar zone. In addition to this main monumental price deception, the little bit of price inflation that actually did seep into the dollar zone was either suppressed through the gold and oil price manipulation scheme, masked by CPI rigging, or simply papered over with low interest rates and intentional asset bubbles. In other words they handed out free money to pay for what little price inflation actually showed up, in the form of HELOCs on overpriced homes. So even though prices have risen over the last 40 years, don't assume the inflation tax has been paid. Don't even assume we have made a down payment on it. Just think about the gains we have seen in the US ever since our purely symbolic currency became the global reserve. (Actually, ever since our gold-backed paper fiat currency became the global reserve and then somehow managed to retain that privilege after switching to pure fiat!) Think of the standard of living improvements. Think of the growth. Think of the military expansion. Think of the social program expansion. Think of all the spending we've done over the last 40 years, compared to the producing we've done. Our spending has gone parabolic while our production has collapsed. And now we are mostly a service industry workforce and a consumer driven economy. The result of decades of decadence. The result of public and private profligacy. And now the tax is due. Hugo Salinas Price's graph  gives us a good visual depiction of some of this unpaid inflation tax. Payment of this enormous inflation tax deficit will present itself to us as a sudden hyperinflation. It will be perceived and reported by the media as something that was done to us by China. But now, at least you know the truth. The taxman is at our door. The mother of all taxes is now due. But curiously, there is a refuge. There is a haven in which you can hide. Can you guess what it is? Of course it is physical gold in your physical possession. But gold will not just protect you from this 65-year inflation tax. As the system collapses from its own weight, gold will first reveal its true value. And then, from there, it will hold its true value as paper burns all around it. And once we make it through this firestorm to the other side, gold will continue to be THE world class refuge from the future inflation tax that is sure to come. Incredible. I want to read your words on a daily basis so I can swim through their truth and relax in their reassurance. Thank You, Thank You, Thank You for teaching. I too love reading your words each evening. I had an idea today -- by purchasing physical gold on credit, that is basically shorting the dollar. And my question, is taking on new debt to obtain physical gold good, bad or ugly? I was actually thinking of selling some silver to pay down my debt, but the urgency of this post seems like the table has been set and we are about to be served. I know you don't dole out investment advice, just curious on your thoughts about how individual privately held debt will play out? Do you think euro and yen also collapse along with dollar? Many thanks for sharing your wisdom with us in such beautiful prose. I'm wondering why you think China will be scapegoated? My instinct tells me that we are very closely allied with China in economic/military symbiosis. Iran has recently announced dropping the $ for the Euro. Why not blame Tehran? And to the few of you who have left a little gold in the tip jar, thank you very much! You all keep me posting. 4. Do not carry one penny of margin on any silver or gold position. Carrying physical gold on your credit card is technically using margin. It is a risky proposition. I know someone who did it a year ago on a teaser rate and now he is paying 29% on $20K waiting for gold to exceed that rate and make him whole once again. I cannot be a party to any theoretical opportunities other than pure equity ownership, free and clear! I think all fiat currencies will take a massive hit, none so much as the dollar. Pay attention mostly to the political styling of a currency to see which ones will do the best under Freegold. Or just use currencies for trade and gold as a store of value. Blame must go outward and Tehran does not have the wherewithal to bring down the dollar. China does. But that is not China's fault. We are not as close with China as you think. I am guessing the blame will be on China. It could be on the BRIC nations as a group, or on the G20 as a whole. Who knows what story they will tell? China seems likely to me. At that point Treasury sales won't matter any more. I see the advantages of having a mostly equity based economy over a mostly debt based economy specially where maturities are not matched (maturity of the borrowed money to the lent money). Maturity mismatching enables private money creation through the process of fractional reserve banking. But I don't think the scripture of the major religions you listed in your article implicitly (or explicitly) prohibit fiat currency that is all equity (base money) or even maturity mismatched deposit taking (i.e., fractional reserve lending) with no interest charges involved. You are expecting a future where money will be physical (physical gold and maybe physical silver). We will lose a tremendous amount of practical benefit of paper and bank deposit money. Physical metal based money has to counted, purity of metal may have to be assessed, it has to be secured from potential theft and physically carried around to conduct economic transactions. There are so many benefits to our electronic ledger based check clearing system for settling economic transactions. But if we as humanity (as you are implying) are not adult enough to manage it and not abuse it to a point where all benefits of paper and bank deposit money become useless because fiat money itself has no value then we can't have the benefits of paper and bank deposit money. As you and others have suggested collapse of the reserve currency will most likely lead to extreme chaos and misery all over the globe. But I pray that our leaders will come to their senses before the collapse and reform the world banking system (essentially convert private debt-money to base money-- digital cash) and create a government bank for safe storage of base money and clearing checks and remove deposit insurance schemes. Removal of deposit insurance schemes will greatly discourage (but not completely eliminate) private money (debt money) creation by pyramiding base money. Even with this plan we will still have much chaos because much debt (private and public) will have to be defaulted on because new money creation will have to greatly slow down in order to preserve its value. For more details please follow the link below (this link points to the same article you reviewed earlier and commented on, I am showing the link for the benefit of those who have not yet read it but may want to). Please see link to Zerohedge on Gold memo re A. Burns circa 1975. Very interesting bit of course taking into consideration that the timeframe. Do you consider a fund like the Central Fund of Canada to be physical gold, since they claim to have invested 97% of funds received in physical metal, stored in their vault, audited every financial quarter? Or will this model burn like paper? With all due respect, I think you are completely misreading me. You say, "I see the advantages of having a mostly equity based economy..."
You misunderstand what I am saying. I am not proposing this. We can have circulating debt-based fiat currency as a medium of exchange and a unit of account. But we do not need to harm the savers anymore by trying to make it a store of value. When the dollar collapses, gold will be set free to fill its age-old role as a store of value without counterparty risk. You say, "You are expecting a future where money will be physical (physical gold and maybe physical silver)." No I am not. Read my last paragraph. Gold is a demonetized tradable wealth asset. Not money. All the practical benefits of paper and electronic money will continue. You say, "As you and others have suggested collapse of the reserve currency will most likely lead to extreme chaos and misery all over the globe." This is an unfair attribution. I have been quite upbeat and optimistic about the outcome of what is happening. I have not said what you attribute to me. As I stated in the post, my position is purely pragmatic. I am actually not proposing anything. I am simply identifying. I think we all hope for a good and humanitarian outcome. And if you read me carefully you will see that I have identified a significant benefit for humanity. I am simply an observer, not a proponent. Why would a new gold standard be adopted? In the past fiat currency regimes have collapsed but none of the countries have gone back to a gold standard. They simply created a new fiat currency and restarted the process. Russia, Argentina, Weimar, Zimbabwe, etc. No, a new gold standard will not be adopted. We are too deep into the fiat game. A collapse of the world currencies is a collapse of the store of value function only. The other two functions do not depend on the current valuations of the currencies. The dollar can fall in Zimbabwe proportions and still work as a medium of exchange and a unit of account. This is what purely symbolic currencies are built for. They were never built to be a store of value. This is the facade that is crumbling, that took an army of men and generations to build, in a specialized facade-building industry we called Wall Street. Our world is littered with fallen currencies that are still in use. The dollar will be no different. What will be different is that global confidence in ANY fiat currency as a store of value will be gone. The money-masters succeeded in making unproductive debt an asset !? Freegold will finally tell how much of an asset this astronomical debtberg really is/isn't. Freegold will do this perfectly on a permanent basis. Within or without a structured frame. Proper valuation of real wealth always was gold's (one and only)function. Once we know that,...the fiat-show (debt trade) can go on for ever. "I think we all hope for a good and humanitarian outcome." This article is a helpful reminder why we are interested in precious metals. Scuse me sir, but how can a currency that has lost the trust from the public (and you see this happening on every fiat money....) continuing be used for trade... i mean, when the trust in fiat money will be gone there will be only one thing left: iperinflation. but iperinflation can not stay forever, after that a new currency have to be set up and the game will be again re set. with a gold/silver standard or not. When trust in a currency is lost, it is the trust in the 'store of value' function that is lost. People don't want to hold the currency very long. In fact, the time in which they will hold it grows shorter and shorter by the day. Sellers mark up prices to compensate for the time they will have to hold the currency. A vicious cycle begins. Sometimes currencies are devalued by the pricing markets to where they belong. Other times, the currency is so badly destroyed by its management during hyperinflation that there is no choice but to abandon it and start over. In this case we are talking about the global reserve currency, a unique situation. Almost all currencies in today's world are virtual derivatives of the dollar, to one extent or another. Have you been watching the G20? They can't agree on anything except more printing. I am simply describing what will happen when the global reserve currency implodes, releasing its hold on the world gold price and unleashing Freegold onto a world that can't come together on anything. I imagine we will probably still have the dollar in some form or another, just as Mexico still has the peso. Then again, I may be underestimating ability of the US government to destroy its currency. In any case, we will have another purely symbolic currency for trade, and a parallel freegold market for pricing that currency. Thank you. Still absorbing what I have read. I think ZH's posts drawing great attention to this topic is quite significant right now. I imagine the Fed is not happy to have that kind of publicity in int'l circles at this very moment in time. Clearly a great deal of the easy money from QE in US, UK and EU has ended up in speculative momentum in asset markets (equities, commodities, bonds) as a new carry trade. Virtually none of it has gone to financing productive investment or increased retail/commercial lending that would promote consumption/growth in the real economy. The result is a bubble in asset prices blown up by the easy money, with no realistic basis in actual consumer, business or economic fundamentals. As a result, it is clearly unsustainable. When it will burst is anyone's guess. I think it's a pre-meditated set up that will be burst to achieve a political agenda - just as with the Lehman failure/Reichstag Fire for the Paulson Plan looting. And I think the Fed and PBs are positioning things now to burst the bubble soon - if only to forestall the Audit the Fed Bill. The PBs are being recapitalised by coordinating actions with each other and the Fed, so that they can frontrun what they know will be seminal events in market direction. The game here for the Fed is to export losses and import profits. The mechanism for this is margin calls on leveraged investors/leveraged markets. The reason for pumping up the asset classes globally has been to benefit from the foreknowledge of this on the upside, and the foreknowledge of this on the downside. GS and buddies will all profit handsomely. The failures and major losses will all be targeted at foreign competitors and domestic competitors so that those left standing get a larger percentage of a shrinking pie. The power to call margin is the power to destroy. In leveraged markets, the withdrawal of leverage necessitates collapse as forced selling wipes out value. Those destroyed on the downswing lose all their assets as collateral to the creditor bank. Those assets are held and then sold on the next rally. Lather, rinse, repeat = perpetual motion profit machine for a more and more concentrated and powerful financial elite. We no longer have market capitalism. We have state capitalism which depends on the liquidity of the central bank to drive momentum in markets and determine change in direction. The Fed is about to stop QE, withdraw liquidity through reverse repos, etc., and that will force the change in direction which will justify the PBs calling margin on all the leverage extended earlier this year. A trigger even (foreign bank failure/state or municipal government default/attack on Iran) will destabilise markets. The margin calls into the uncertain markets will force liquidations, crash global markets, destroy weaker players, and create a political opportunity to force more bad legislation and bad policy through a frightened Congress. It worked before to expropriate taxpayers of trillions of dollars. Same again, please? Of course, this is a conspiracy theory, but some conspiracies can be very profitable and last a long time. Control fraud is always a conspiracy by those holding power, and is always very profitable and quite low risk. I should note that the reason for choosing this thread is the connection to US dollar revaluation. Virtually all margin under global standard derivatives, prime brokerage and securities lending agreements is in US dollar. The result of a margin call by the prime brokers and major investment banks is therefore a sudden, sharp demand for US dollars to prevent default. Foreign assets are sold and the proceeds swapped into dollars to meet the margin call. Foreign assets and currencies crash, dollar strengthens. Look at October 2008 for the template. Prime brokers discreetly raised margin on PB clients from an average of 15 percent to an average 35 percent. Because all PB is unreported bilateral business, there was no public announcement of this and no public record of this. 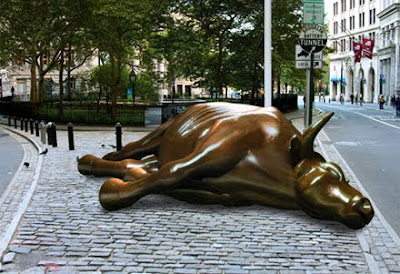 All the public saw was the crash of global asset markets and a rapidly strengthening US dollar. And, of course, Congressional caving to pass the Paulson Plan looting. Congrats on SilverBearCafe picking up this post! Excellent work. I think this is something new to most of us. That paper/electronic currencies will still exist and have a function after the dollar collapse. I assumed we would go back to using solid gold and silver as currency. But what your saying is we will have something like gold/silver certificates again. And the electronic equivalent of Goldmoney.com for doing transactions? And solid gold as a store of personal wealth? If Antal Fakete is right that gold/silver will go into hiding (bad money chasing good money out of the system) after a collapse and will not be seen again for many many years to come, how can your senerio of freegold work? Do you not think gold will go into hiding? I think physical gold will go into hiding in dollar (fiat) terms. But it will continue to trade in certain circles. Those that know its value. Those of us (of Western [dollar] thought) will have a harder time adjusting to gold's true value. It will take some time (transition time) to get us used to it. I see this 'hiding period' being 6 months to a year. But I don't know. I don't remember Fekete ever saying "many many years to come". I think it could also be as short as a couple months. It depends on a lot of unknown variables. When I say paper/electronic currencies will still exist, I am not talking about goldmoney. I am talking about the same currencies we have today. In the trade function, their value doesn't really matter. Whatever the day says it is, that is what they will trade for. Their role in trade is only to facilitate (act as a middleman for) basic barter. Eventually fiat currencies will grow to flourish in a freegold environment. We are evolving. We will not go back to gold/silver certificates again, or fractional reserve gold banking. We won't even go to 100% gold backing. Our system can't handle it. Our collective can't handle it. The confidence required won't exist anymore. And the collective doesn't really care about the store of value function anyway. It cares more about easy credit. What we will have is a different view of value and what is "a store of value". All of our debt will be exposed as NOT a store of value, even as Wall Street tells its last dying lie. Yes, solid physical gold will be the most basic store of value. But more importantly, its free physical trade will be the lever that sets the daily value of our medium of exchange. In case you haven't noticed, the majority is not in need of a great store of value. Other than the pain of the transition, they will hardly notice this change. But the producers and savers of the world will. All those who have been screwed by the dollar system and Wall Street lies for all these years will finally have a well deserved respite. This is the future I see. Not the one I propose. Not the one I promote. But the natural outcome. What the majority/collective/government WILL notice is its newfound INABILITY to live beyond its productive means by stealing from the producers and savers of the world. We will change from a kleptocracy back to a meritocracy. Something we haven't been in a long time. "Most of the central bank "sales" are really just a recognition that "leased" gold can never be redelivered by the bullion banks. Central bank leases emptied out the gold vaults a long time ago, and the "sales" just orchestrate the orderly unwind of the bullion bank shorts. China demanding physical delivery is like a huge margin call on gold against the bullion banks. The IMF is bailing them out by providing more physical gold for delivery to China, but that only works once." You are saying there will be currencies - perhaps even a newer US dollar currency called the 'Eagle'? But all these will mean nothing to Gold's purchasing power? The Louvre museum in Paris, France has an income (admission price) and expenses (employees). It uses its income to pay its expenses and if it makes a profit, perhaps it acquires more art. But its income means nothing compared to the purchasing power of the Mona Lisa which it possesses. Yet it still uses mere admission receipts to pay its employees and, at least for now, leaves the Mona Lisa hanging on the wall as a prized asset. Maybe some day the Louvre will be forced to liquidate its assets. But if that ever happens, I bet the Mona Lisa will be one of the last to go. Thanks for the answer. But I believe Faketes article I read said that gold went into hiding after the fall of the roman empire and didnt come out until sometime in the dark ages. Thats a few hundred years at least. Also, I travel quite a bit and to places most people would never go without carrying a gun and driving in armored vehicles. Ive been experimenting in these countries (and some less dangerous)& regions for the past couple years with gold and silver. And what Ive found is that people would rather have dollars/euros than gold. They dont know how to gauge the value of gold bullion. Rings and jewelry they understand most. But most dont have much jewlery because they are just too poor. Only jewelry shops understand and even they would like to trade all their jewelry for some paper money. Its amaizing how cheap gold is in dollar terms outside of the US. And none of the people of these countries want to even talk about silver. But when I pull out a hand full of shiny silver eagles their eyes get big and you can tell psychologicaly they wish they had a pocket full of eagles rather than paper dollars/euros. Its been a facinating study for me and I should write a paper on it some time. Also, I believe gold is the most important of gold/silver. Anyway, cheers and great blog really superb research! There are so many things we don`t have an aswer for. All gold bugs repeat their mantra about higher value for gold. But where is all that gold? My conviction is that it will never return to us, the sheeple. Even if some countries still have a stong gold tradition, yes, they might cultivate it for ever. Did it have any impact up to now to us? We will jaust have to get used to a lower standard, maybe poverty, rebellions so what? Sonic weapons, teasers, food stamps... Who cares? Such big changes will never come from the masses, they need Fuehrers. Yes, gold might hide, but not for oligarchy but for the masses. Who cares, they've already forgotten it. And yes, I believe you might better get money, damned fiat, for silver, because it's industrial metal and they might need it. Don't be confused by the phrase "going into hiding". All it refers to is the psychological transition from 'pricing gold in dollars' to 'pricing dollars in gold'. When the price discovery mechanism we are all used to fails to deliver a physical price, no one will know what to ask for their gold. So they won't. This is the same as Fekete saying physical gold will not be available at any price. They are selling it by the GRAM now out of vending machines! And you can buy it from your teller at the bank! This is not exactly happening world wide thought, and it remains to be seen whom 'they' are in this matter. Yeah, thus far they have such machines only in Germany. Some of those 1gm bars recently came to me in trades with a local dealer, so others can find them as well. Also took 2.5gm, 5gm, 10gm and 20gm. P.S. I also have some 1/4ou and 1/2ou Englehard silver rounds and have seen 1/10ou Englehards but no wafers... yet. Re: "... Gold would not be valuable if one person owned all of it. It is most valuable in its widest distribution possible, the wealth reserve, which requires a much higher valuation than it has right now. A higher valuation denominated in hard assets, not just fiat currencies!" Excellent. Now wouldn't it be hilarious if they were able to continue to fool the masses that gold is a "barbarous relic"! Or better yet, to believe that they could tax, spend, and inflate away what's left of our wealth until they own all the gold? Yes, that would be funny if the size of their greed spoiled the object of their desire into worthless obsolescence. Population-wise, the US represents only 5% of the world. The "dollar-zone" at best represents 25%. At most, we are talking about the top .1% of the dollar zone that would be pulling off this concentration of wealth SO HIGH that it destroys the value of the store of wealth itself. That works out to about 1.7 million people holding most of the worlds wealth, at which point that particular "object of desire" or "unit of wealth account" would become worthless. Isn't that kind of like what is happening to the dollar right now? Indeed you can get gold bars as small as 1g but the smaller you go the more expensive they get. Those 1g bars cost about 40% per gram more than a Krugerrand. Isn't it wonderful that Os got rejected on their Chicago put? I see it from the political point of view. Who the hell would want to be in Chicago 2016??? That was a real reason to get more optimistic! That's what I said last night as I watched him receive his "diploma". Hmmm... let's see, Chicago or Rio? LOL Did you see that diploma presentation? What an embarrassment. Paper money for circulation (paying your daily bills) and gold as a medium for storing savings. A nice idea, unfortunately, it would imply that people would have almost no savings. Presently, one ounces of gold is around $1,000 meaning that most gold mines can produce gold at the cost of less than $1,000 per ounce. The total existing gold above ground comes down to less than 1 ounce of gold per world citizen which means that savings in gold could be only peanuts. New gold production is less than 2% of one ounce per world citizen per year. It would take more than 50 years of rising gold production levels to bring the average gold holding to 2 ounces per world citizen. Still not good enough! Of course, one could adjust the price of gold upwards, let's say to $100,000 per ounce. Unfortunately, such a price increase would lead to an unsustainable mining and exploration boom for gold which could seriously destabilize the economy. After all, we do not really need gold in order to survive. Gold is just a symbol for stored monetary wealth. Fofoa's theory sounds very attractive. but I am not convinced it can be realized. Gold is too scarce. It is a saving device for the rich - not for the common people. There are just too many of us. Strictly speaking, the ownership of gold beyond let's say 10 ounces should be made illegal worldwide. If the gold craze continues, I would not be surprised if the G20 introduces such a law. Ownership of gold will be traced one day the same way the ownership of cars and weapons is being traced. So what are you saying? If gold is correctly valued relative to the size of the world we will be overrun by a new gold rush? Are you saying that too much effort will go into the unproductive mining industry, sucking people away from essential industries like Wall Street and Real Estate sales? More likely you will find that 'gold in the ground' will become a 'strategic wealth reserve' to the collective state and will be strictly controlled, one way or another. We now have GM, Government Motors. Maybe we will have GG, Government Gold! Look around you. How much of your high standard of living was manufactured "in country"? What do you think is going to keep the commercial lifeblood circulating the planet once the dollar dies? And how can you say that gold is too scarce? How much savings do you think the average inhabitant of Earth has? Gold can easily cover that without going anywhere near $100K. The question is, what will gold have to go to in order to cover the $ losses of the Giants once their dollar reserves collapse? And how much gold reserves do THEY have levered against their dollar reserves? And how high will gold have to rise to collateralize all the debt the collective will not let die? How high to cover the "money" the system does not want to let go? And how high to cover all the money that still needs to be printed to keep the collective obligations from imploding the entire planetary political system? Us miniature gold investors are just along for the ride. We don't exactly move the global markets. The Giants do! You say you want to control how much wealth can be stored by individuals? Well who do you think is going to make that rule? The producers and savers, or the debtors and consumers? Actually, who do you think will be MAKING the rules? Those with more than 10 ounces of gold each, or those with less? Come on. If you want me to sell you my gold you are going to have to do better than that. FOA: So what are we looking for when we watch the paper gold prices and Comex? What gets me excited when the market begins a little move? Well, it's not the fact that it's going up, rather we are looking to see if the impact of political change is working the gold derivative's credibility yet? I am looking for some wild spurt of trading that lasts for several days or weeks. Open interest rapidly surging hundreds of thousands of contracts, then just as fast plunging away. A paper gold market, containing tremendous price changes ($100++ or more per day, both up and down) that begin to call into question the ability of Comex to function. Not so much question it's function as an price setting exchange, rather question if it can later function at all in the metal settlement process. Where the big positions on the opposite side of the longs (shorts) find themselves in a changing world market without physical supply,,,, at almost any price. Brought on by a currency transition. Where big physical bullion dealings (one tonne ++) between real buyers and sellers,,,, outside and away from the exchanges,,,,, begins to run at a huge premiums to our contract based paper trades. Perhaps hundreds of dollars or percent higher,,,,, even impacting the ebb and flow in the coins world as misguided investors quickly sell for profits only to find no market goods later at twice the price. In this environment, the big shorts on all paper based exchanges will be selling these new "cash created contracts" to the very limits of their capital. And trust me, they will not reach those limits because an unlimited amount of credit will be made available to them. Remember,,,,, for them,,,,, regardless of the supply,,,, the demand,,,, or the price of physical traded metal,,,, as long as the paper contract price doesn't close "up" too much,,,,, there is no risk or call on their capital. They can just keep on selling. As a side note: This will not apply to the paper silver markets as silver will not have the [Giant] vs. Dollar political struggle. A struggle where [the Giants] are trying to [raise] their main asset (gold) as a reserve wealth backing to replace the massive loss of dollar reserves. Remember, further back on the trail we covered how these reserve dollars will be simply cast down. In this light, silver trading will bear the brunt of selling in an effort to balance loses from a gold exchange that no longer works. Because silver has no hope of an official free market, its paper pricing system may run amuck until its price plunges to...??? This is the reason so many countries that are contemplating a switch from dollar to Euro use are selling physical silver and buying gold (China, India, etc). It also explains the movement of gold between countries that planned outright Euro conversion. ,,,, its real currency value in today's expanded fiat world,,,,,,, then later it will advance further on the price inflation coming to the USA. This is where so many thinkers cannot see super priced gold. They are seeing the present illusion of gold value as its base. Later, a gold move from say, $10,000 to $20,000++ will only represent a 50% rise. Liken to an oh so understandable $300 to $600 today. ,,,,, the total rejection of owning gold in any form except the real thing,,,, no amount of gold supply will come close to equalizing this current ownership imbalance built up over many decades. If anything, sellers will be confounded as nothing keeps pace with the gold rise. Once sold, it only costs double to rebuy. This was the price we paid for an extension of dollar use in oil settlement. It will be moved when gold trades at a much,,,,, much higher price. It backs Another's point of long ago that oil was traded for gold in the thousands at that time,,,, we just had to wait for the real price to be shown. It will! This is the decades long game we are playing for, my friend. This is the big one we own gold for. This will be the defining moment in our time that changes perceptions about the value, reserve currencies and the wealth of ages. Watch with me now, as events prove all things! Gold easily covers the real savings of people (i.e. the real physical fiat money). You have to remember that only the actual currency (i.e. physical Euro, Dollar, Yen bill or coin) is legal tender. Everything else, like the digits at your bank account, is money that was created on some others debt. If the ability of the borrower to repay this debt goes away, or the mediator (i.e. your Bank) dies this "debt" money will not be backed. Therefore I don't count this money - which is not legal tender! - as existing savings. Its value is only protected by the believe into the future that the borrower might make it even. Unfortunately it took me a long time until I fully grooked this reality. Thanks Fofoa for reminding us of Trailguides words. He does make a good point. But what Im concerned with is, the geopolitical envirornment as well as the worlds psychological view about gold now. For gold to go into perminent hiding, it probably would destroy what the elites hold so dear, but then they would be the ones to set up a new even more tyranical system then the dollar system now. Also, when I travel around the world its easy for me to see a police state being set up. From cameras everywhere in England to the patriot act, fema camps, gitmo in the U.S. to iris scaning and personel xrays at airports and some borders in Europe and other countries, to even all the unheard of war machines that have been developed for Iraq/Afghanistan that I have seen with my own eyes, that if unleashed on certain peoples of the West after a collapse could easily bring them in to compliance of a new economic/system order the elites so choose. What you say sounds really good about free gold, but what I see around me with my own eyes tells me there will be a different outcome that may be rather surprising to many of us. "who do you think will be MAKING the rules? Those with more than 10 ounces of gold each, or those with less?" The obvious answer is: the rules will be made by those who control the justice system and have the power to put you into jail. These people do not care whether money is made out of paper or gold. They care only whether taxes are being paid. One reason why gold will never return as public money is because gold makes it easy to escape taxation. In fact, fiat money was invented in order to enable efficient taxation. That is the reason why we have a credit based monetary system. A credit based monetary system allows for easy control of the economy by the IRS since all transaction must necesserily leave a paper trail. Transactions in commodity money (gold and silver coins) do not leave any paper trail and can not be traced for tax purposes. This is the reason why we have less that 10% of the money supply in tangible currency (coins and bills). More that 90% of the money supply exists in form of checking account balances which never leave the banking system. This feature (fractional reserve system) was specifically designed in order to provide a solid control of the economy by the IRS. It is this feature of the monetary system which made the US system the most succesfull tax collection system in the world. This is the ultimate reason why the US government is the most powerful government in the world. Any discussion of monetary matters without addressing the problem of enforcing taxation is naive and incomplete. when does it suit the USA to have Gold priced in the tens of thousands....? When it does suit them ....it will. Time will tell....i just hope it doesn't take 100 years. Re: Higher priced gold and silver. This is a natural evolution. There isn't much time left to prepare. Rememeber the history of Europe, Asia and the US of old world money and culture, our foundation to this day. Don't ignore the prophecies that so beautifully correlate with each other despite originating in isolated, distant places such as the Yucatan, Tokyo, Belfast and points in between. 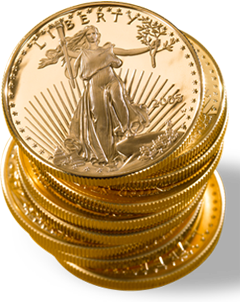 Have a look at my gold and silver comments at the Primary Forum here: http://www.eagleranch.net and among the hearties here: http://www.voy.com/218910/ . Remember US tax collections are smoke and mirrors mind control more than anything else. They contribute little or nothing to the budget, military black budget, and the vast proceeds of gunrunning, drug trades, slave trades and other plunder enabled by ignorance and vanity. 1oz of Gold price over $10,000US gives the govt the tax. Here in Australia when you buy your bullion from the Mint - as long as it is under $10,000 the tax dept does not have to be notified. Would a sudden repricing of Gold over $10,000 be a boon for the debt bloated Govt? Imagine the Govt getting a tax from every ounce sold? Taxes on old don't need a high gold price. The government can change the rules anytime, impose taxation or whatever. What is interesting for Europe is that Gold is tax exempt by EU regulation! What does this mean? No EU member state can raise taxes on purchases of gold. Unfortunately there also exist exceptions in EU regulations if the EU member state wants to put tax(VAT)on gold purchases it is up their decision not follow this regulation. The big point is EU becomes more overregulated super state where individual citizen looses control about taxes. Oh, I didn't came across that exception. Regarding many EU regulations, the member states must apply them to their law, no exceptions. But of course it is always allowed to make something worse for the general public that can use tax heavens and the like. That the central EU power and overregulation, especially with the Lisbon treaty goes to far is in fact a serious problem. The fact that gold is exempt from VAT taxes in the EU may be an intentional insurance policy created at the introduction of the Euro 10 years ago. Giving away the sovereign right to control the supply of money to a European institution required an exit option or at least an option for the common people to exit the Euro if something went terribly wrong. The choice was to promote gold as a legitimate competition to the Euro. In order to make that option viable, gold (but not the other precious metals) was exempt from VAT texes. For the moment are speculations on future taxes are quite difficult. Europe is not in a very rosy position either and even Germany has high level of state debts, Deutsche Bank has 2200 B exposure and unemployment is 17% (unofficially). I am somehow expecting savvy people to make some comments on monetary situation (gold) and WAR. Or flu, which is going to be quite a subject. One cannot only dream about high gold price without taking a look a the political enviroment. This ongoing flu is not a bit of conspiracy,it is not a coincidence and if army and police get involved with it (as planned in France), well, I think this is going to be a VERY wild card for gold. People tend to believe that individual rights will be respected and they are allowed to refuse the vaccine. No, they aren't. We have a WHO law on that. What happens to gold if we suddenly have a high mortality? The actual pandemics will be fully used by these engineers to lead for them to succes, but how? People A good one, FOFOA, what do you mean? Thats exactly what Im talking about. With a health crisis and a currency collapse people will be out of their minds. The ones of us that have the gold will hide it, and the elites will just leave theirs in their big vaults. Gold will finally be completely demonetized psychologicaly and physicaly. And the sheeple will except whatever new tyranical money system that is pushed on them. The two biggest tricks the devil played on the world was convincing the world he didnt exist, then convincing the world gold is not money.